Kenneth Kleinberg is one of the nation’s leading attorneys specializing in legal and business aspects of the entertainment industry. Mr. Kleinberg and his firm, Kleinberg Lange Cuddy & Carlo LLP, represent a wide variety of prominent individuals and companies, including some of the industry’s most successful actors, writers and authors, directors, producers, financiers, distributors, musical artists and rock groups, animators, video game designers, international broadcasters, corporate executives, literary and talent agents, managers, specialists in CGI cinematography, the internet and other emerging technologies, as well as other creators and users of intellectual property. Mr. Kleinberg is the co-founding partner of a law firm which has grown from two to eleven lawyers since its establishment in 1992. This firm marks Mr. Kleinberg’s second career as a practicing entertainment lawyer. 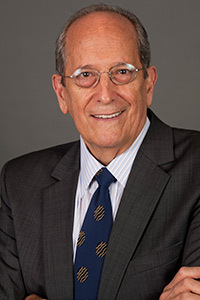 Previously from 1969 to 1985, Mr. Kleinberg served as an associate, partner and then senior partner and head of the entertainment division of the Los Angeles law firm of Mitchell, Silberberg and Knupp. Between late 1985 and 1991 Mr. Kleinberg served first as executive vice president and a director of a major studio, United Artists Corporation, and then as president and chief operating officer of Weintraub Entertainment Group, an independent motion picture, television and music production/distribution company. Mr. Kleinberg is a graduate of UCLA and UCLA School of Law. His initial work as an attorney was at the Federal Communications Commission in Washington , D.C. Mr. Kleinberg is admitted to the Bars of California and the District of Columbia . Mr. Kleinberg has lectured frequently at leading law schools and institutes, and he is a member of the Academy of Motion Picture Arts and Sciences and the Academy of Television Arts and Sciences. Mr. Kleinberg was the first Chairman of the American Cinematheque and has been a long time member of its board of directors. Mr. Kleinberg is the President and a director of University Kidney Research Organization.